Custom Spill Kit - Build to fit your needs!! 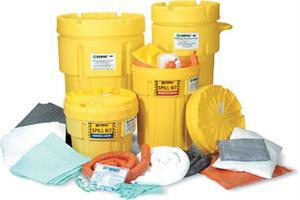 Our spill kits are perfect for any and all disaster preparedness situations. They contain the finest quality products for oil only or universal spill control and are fully customizable! They are loaded with safety products, spill containment solutions, and absorbents. Even though Green State Services has ‘pre-made’ Spill Kits we will make spill kits to accommodate your needs! The big difference between us and all other companies is that you can fully customize our Spill Kit for your specific requirements and needs. They can be stationary or mobile and they can be designed to be used in any situation. We offer small portable kits to large trailer size kits. Every kit is customized to the needs of our customers. 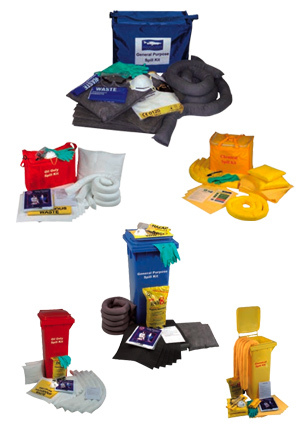 Create a Spill Kit with the exact size, type and quantity of sorbents that your facility needs! You just tell us what you need in your spill kit(s), we'll pack it and ship it directly to you. To purchase a custom spill kit please contact us and we will fulfill your order.